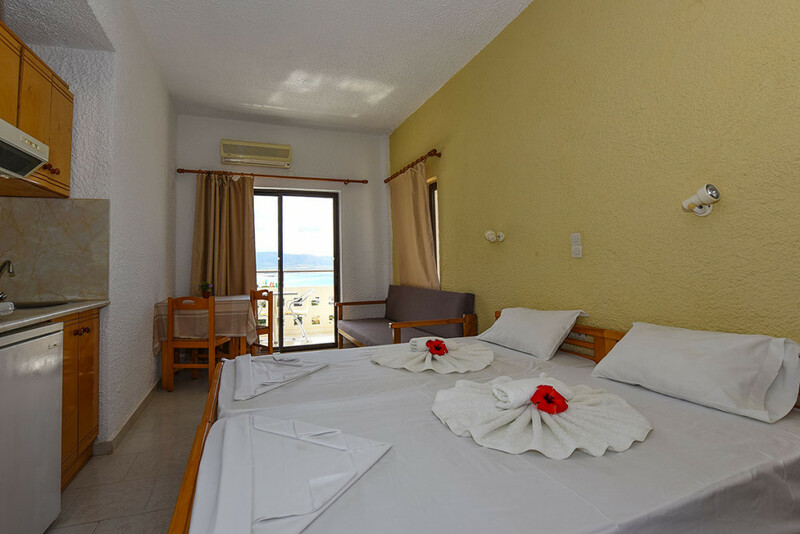 Hotel Falasarna Bay is just meters from the famous beach of Falassarna, one of the most beautiful beaches of Crete. The beach offers crystal clear waters combined with golden sand and the breathtaking view of the Cretan Sea. 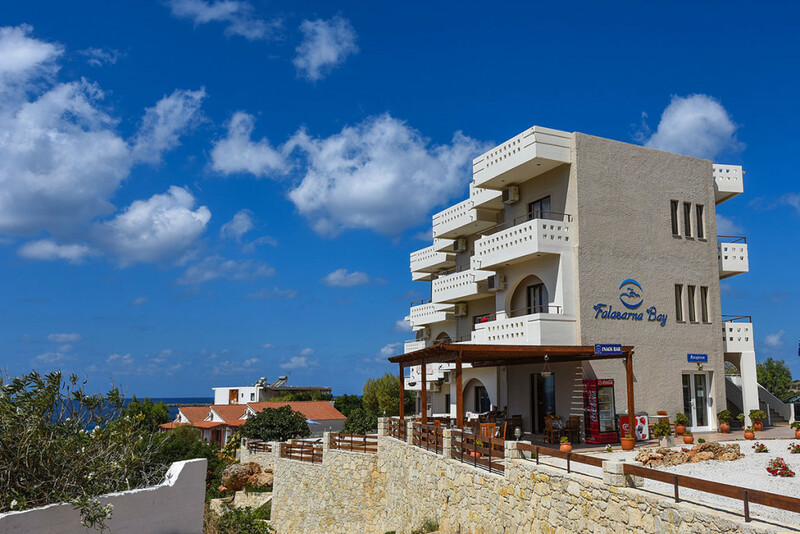 Hotel Falasarna Bay has the ability to accommodate any type of visitor, as the hotel offers spacious and fully furnished studios that can accommodate 1-2 people and apartments that can accommodate 1-4 people. 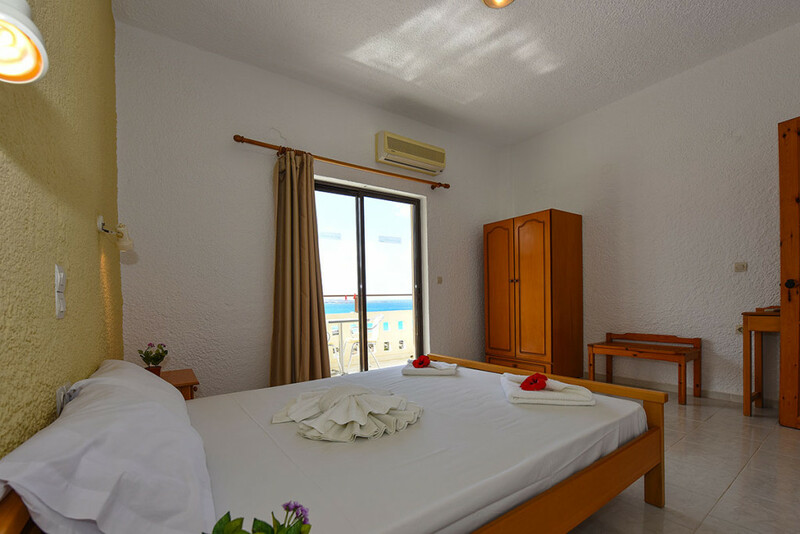 All rooms have a Kitchenette, Air Conditioning and views of the magnificent beach of Falassarna. There is also ample parking for our guests. 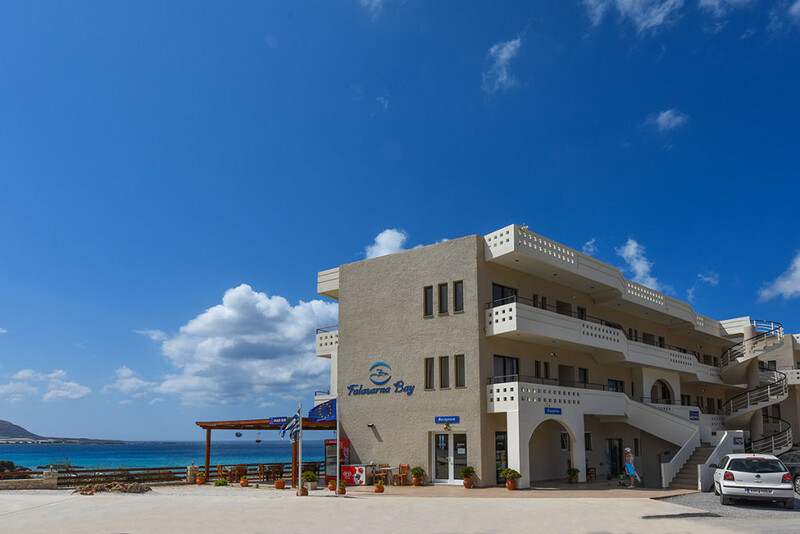 The hotel also provides a Snack Bar, which has a magnificent view of the beach, that can be enjoyed by its visitors while having their breakfast, snacks, juices and coffees.